The days may be short and the weather freezing, but there are plenty of January jobs to do that’ll get your gardening season off to a flying start. Here are the top 10 gardening jobs to do in January! 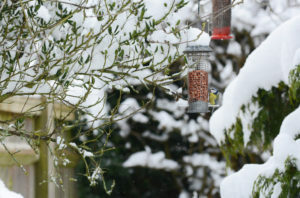 Help garden wildlife to survive the freezing months. Put out regular food supplies for wild birds such as high energy winter seed mixes, fat balls, peanuts and mealworms, these food supplies will all help feathered friends to survive when their natural supplies of food become scarce. Check and regularly top-up bird baths with clean water. Coldwater fish in garden ponds are tough survivors, but aquatic wildlife still needs oxygen. If your pond has frozen over, melt the ice by placing a saucepan of hot water on it, then remove the pan and place a football on the surface – this will prevent it from completely freezing over again as the ball moves about in the wind. A blanket of snow is one of the most beautiful sights in the garden, but heavy snow has the potential to cause damage. 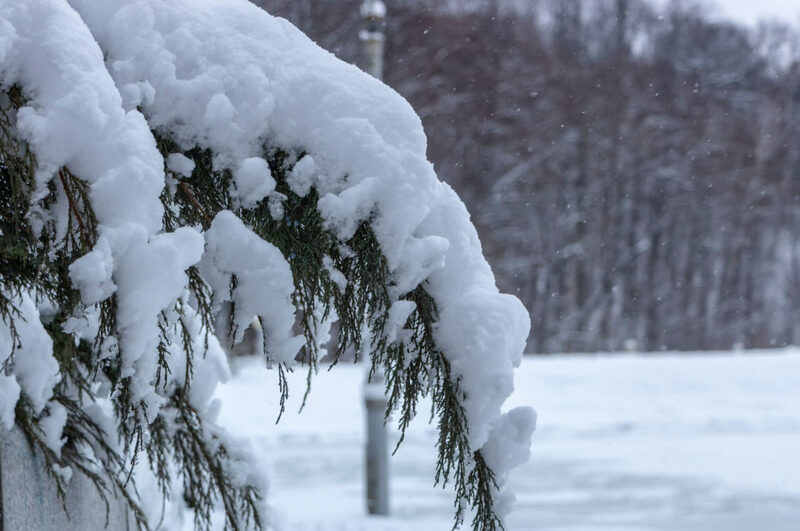 Use a broom to brush snow off evergreens, hedges and conifers before the weight causes branches to snap. Fruit cages and polytunnels can groan under heavy snow, too, so brush it off before the weight results in cages collapsing or polytunnels splitting. Stock up on grit ready to put down on icy garden paths – and keep off decking when it’s frozen or frosty, as icy timber can be extremely slippery. Many gardeners will have been given amaryllis as Christmas gifts, while garden centres are clearing the last of this season’s bulbs from shelves. If you have bought a bulb, be sure to plant it without delay. Find a pot that’s slightly bigger than the bulb and fill with multi-purpose or John Innes No2 compost. Plant the bulb so that two-thirds is below the compost, with the neck clearly visible (never bury it). Water lightly, then place in a warm, bright position indoors and it’ll soon develop spectacular flower spikes. The spikes may need to be staked if plants become top-heavy so keep an eye on them once they have sprouted. First-early potatoes are planted from February to April and can be ready to harvest from June – but there’s a trick you can carry out in January to give crops a head start. 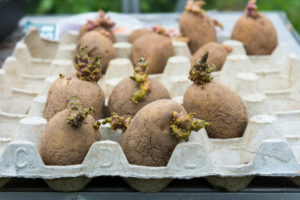 Chitting is a process that encourages seed potatoes to sprout prior to planting, and first-earlies can be chitted from late January. But how exactly do you ‘chit’ a potato? Just stand seed potatoes in a tray (or old egg carton) with their blunt ends facing upwards, in a light position. They’ll then develop shoots ready for planting out next month. Good first-early varieties include ‘Swift,’ ‘Pentland Javelin’ and ‘Rocket’. Containers of winter flowers need little maintenance, but a few minutes of care will keep plants blooming, even in freezing conditions. Dead-head winter bedding, such as universal pansies and polyanthus, to encourage more flowers to follow. Outdoor cyclamen can be prone to rot in cold, wet conditions, so inspect plants and remove any spent flower stems and leaves that are succumbing to mould. Winter containers should be watered sparingly, and avoid watering if extreme cold is forecast. If compost feels too soggy, stand containers on pot feet to raise them up above the ground, as this will assist drainage. Never stand pots in saucers of water over the winter months or roots will be at risk of rotting. If lawns are dry and the weather is mild, leaves and debris can be raked off or cleared away using a garden blower. Remove worm casts (those small lumps of muddy soil that appear on the surface of the lawn) from grass using a stiff brush before they become trodden in and form muddy patches. But if the lawn is wet or frozen keep off! 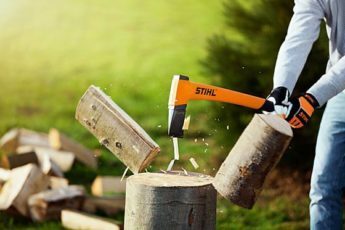 If you have to move wheelbarrows across lawns during cold, wet weather, lay planks of wood to make a temporary path, to avoid damaging grass, then remove the timber promptly afterwards. For gardeners who are planning to grow vegetables this season, it’s worth devising a crop rotation. Growing the same crops in the same place every year encourages a build-up of soil-borne pests and diseases that thrive on your chosen veg. Instead, divide crops into three groups and move each group to a different section of the veg plot very year: Group 1 – tomatoes and potatoes. Group 2 – onions (including garlic and leeks), root veg (carrots, parsnips and beetroot), and legumes (runner, French and broad beans, and peas). Group 3 should comprise brassicas (cauliflower, Brussels sprouts, cabbage, kale and radish). 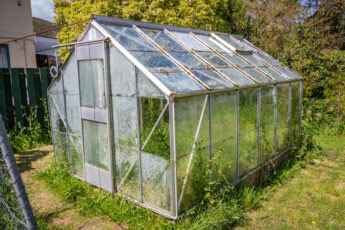 Cleaning out the greenhouse is a great winter workout and helps to eradicate overwintering pests and diseases. Empty the greenhouse and wash all pots and trays in a trug filled with warm water and general-purpose disinfectant. Wash glazing to increase light transmission (essential for seedlings and young plants) and remove debris from gutters. 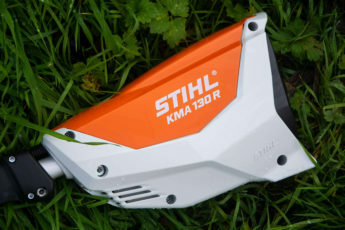 It’s a good time to maintain tools in sheds and garages, too. 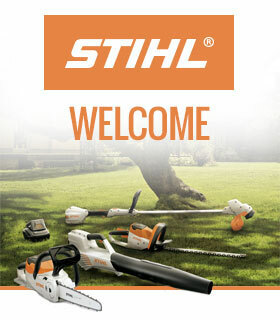 Clean and sharpen mower blades, ready for the new season, and check cables of electric mowers for damage. Hand tools can be cleaned and oiled. If you love the sweet taste of rhubarb in crumbles and pies, there’s a clever way to encourage earlier crops, and it’s called forcing rhubarb. 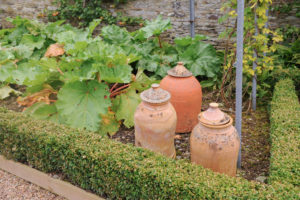 It’s a simple process where you cover the crowns of established plants with a large bucket or upturned pot (or use a traditional forcing jar) to block out all light. When stems reach the top of the container, usually within a couple of months, they should be ready for harvesting. Flicking through seed catalogues is a great source of garden inspiration, especially when the weather is still cold and dark outside. It’s also worth placing seed orders now, as supplies can run low when the gardening season gets under way. If you’re planning on growing flowers and veg from seed, send off for catalogues from leading seed houses such as Thompson & Morgan, Mr Fothergill’s, Suttons, Plants of Distinction, Kings Seeds, Unwins, Marshalls Seeds, DT Brown, Dobies and Chiltern Seeds. Watch out for the top 10 gardening jobs to do in February next month. We’d love to hear all about your seasonal successes in the garden so share your gardening stories in the comments below. Marc Rosenberg is a freelance garden writer and editor. A former journalist with Amateur Gardening and Horticulture Week magazines, he holds seven Garden Media Guild Awards. 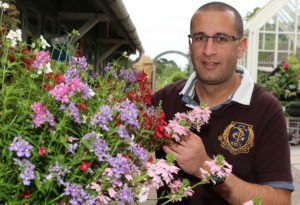 Marc has written for publications including The Garden magazine, BBC Gardeners’ World and RHS online.